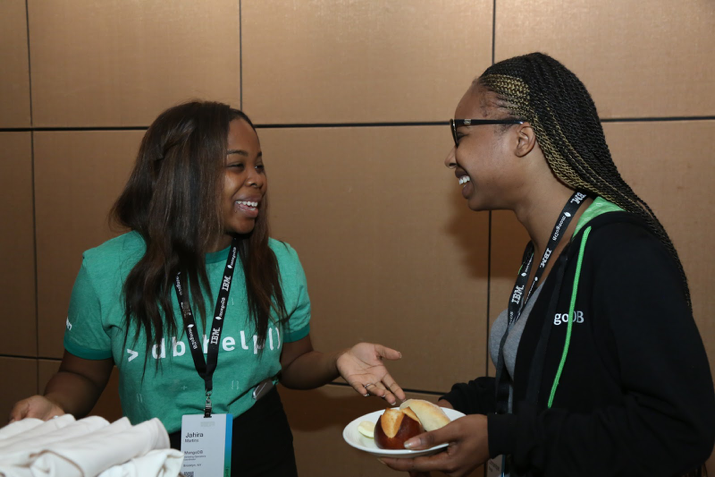 MongoDB’s Scholarship program seeks to support to members of groups who are underrepresented in the technology industry. This includes, but is not limited to, Black, LatinX, women, low-income, and LGBTQ. If you’re a member of any of the-above mentioned groups, you qualify to apply for a scholarship. The application is here and the deadline to apply is May 4. If you cannot or do not want to apply, but would still like to contribute to scholarships for others, make sure to sign up for MongoDB World. You have the option to donate towards the Diversity Scholarship and can still have an impact by giving someone the opportunity to attend. 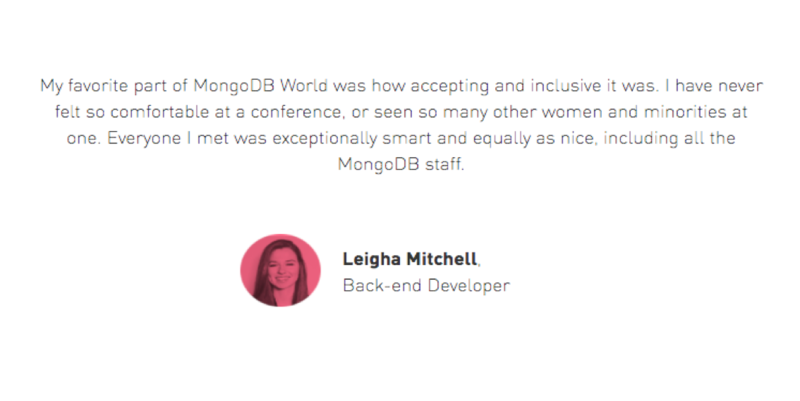 Know a technologist who identifies as a woman who should attend MongoDB World? Nominate her! Nominees get a complimentary conference pass* and an invitation to a guided discussion over lunch in the Women and Trans Coders Lounge. Self-nominations are also encouraged. The nomination deadline is April 27. The Women and Trans Coders Lounge aims to amplify the voices of non-binary people, women, and trans people of all genders within our engineering community. It’s run in part by MongoDB’s Women and Trans Coders group. During MongoDB World, stop by to network, share your thoughts in a guided discussion, or sit in on a Make it Matter session. Join us for cocktails and mocktails, run by MongoDB’s employee resource groups, on June 26. You’ll be able to attend a happy hour hosted by the Black Network, the MongoDB Women’s Group, and the Queeries (MongoDB’s LGBTQ group). All happy hours will also serve mocktails and nonalcoholic beverages. 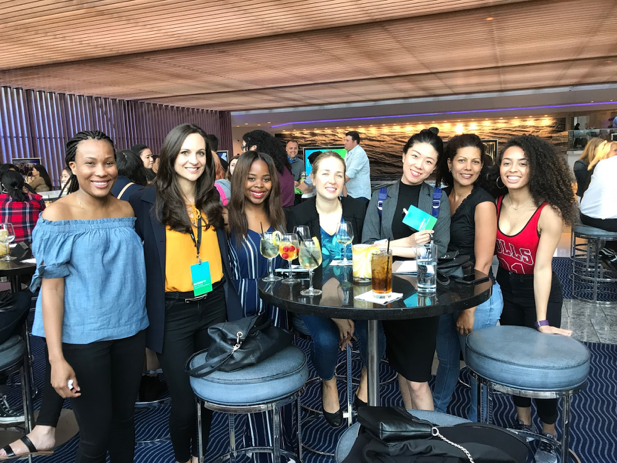 Meet members of the MongoDB Black Network and other conference attendees who identify as Black during the Black Network Happy Hour. End the first day of MongoDB World by joining fellow MongoDB users who identify as members of the LGBTQ community for a drink at the bar. You’re invited to connect with Female Innovators, conference speakers, and other women in tech at the Women in Tech Happy Hour. Our goal is to make MongoDB World accessible to all. Contact us if you need accessibility accommodations. All conference attendees are expected to agree with and abide by the code of conduct. We look forward to seeing you on June 26-27 in NYC. Over the course of two days, you’ll be able to engage with MongoDB users and industry experts from around the globe. And you’ll walk away with the tools that enable you to build your giant ideas. * Please note that travel and lodging is not included in the Diversity Scholarship and Female Innovators awards. Recipients are responsible for their own accommodations.